CULLMAN – Students at St. Bernard Middle School participated in a 45 year tradition known as National Catholic Schools Week the week of Jan. 27-Feb. 2. Since 1974, National Catholic Schools Week is the annual celebration of Catholic education in the United States. It starts the last Sunday in January and runs all week. The theme for National Catholic Schools Week 2019 was “Catholic Schools: Learn. Serve. Lead. Succeed.” The school observed the annual celebration week with a Mass and other activities for students and families. 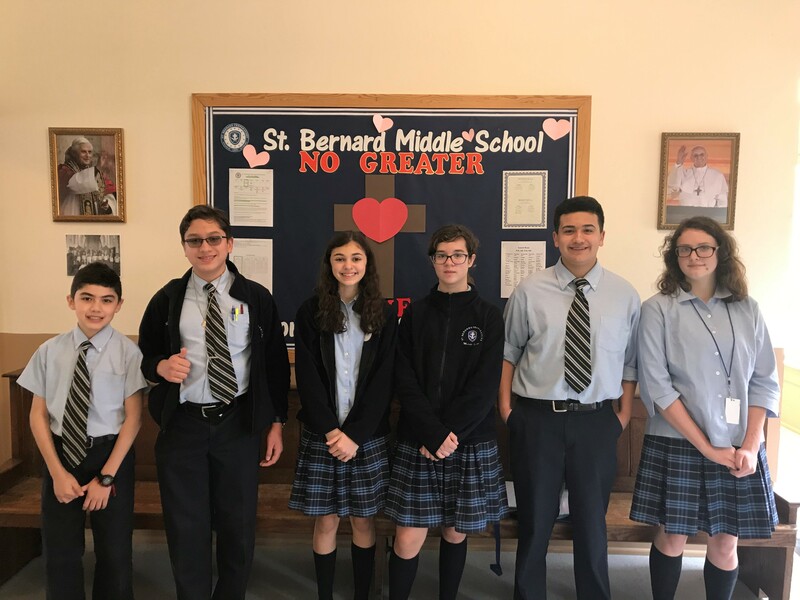 Through these events, St. Bernard Middle School focused on the value Catholic education provides to young people and its contributions to our church, our communities and our nation. The students participated in a number of fun dress-up days, had special snacks during break and concluded each day with a bee competition of English, science, math, social studies and religion. On Friday, students celebrated the final day of Catholic Schools Week by boarding the St. Bernard bus headed to Cullman Bowling Center for a morning of bowling adventures. Upon their return to campus, students were treated to pizza and soft drinks and enjoyed a movie in the Abbey Byre.